Congratulations with another happy 17th of May! We have seen the local childrens parade and the Royal family waving to the crowd in Oslo. We have been disturbed by Døvregrubben Russ Bus during the night and have a hungover Russ downstairs…everything is as it should be hahaha! The only thing left is a little grilling for dinner. 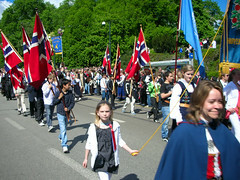 God Syttende Mai!!!! 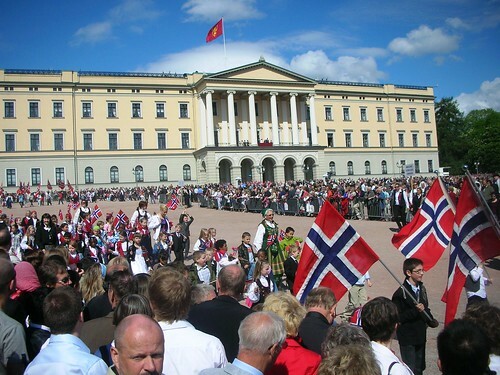 Happy National Day in Norway! As far as I can see it’s a terribly shiny day in Oslo! Kisses and hugs from you portuguese friends! 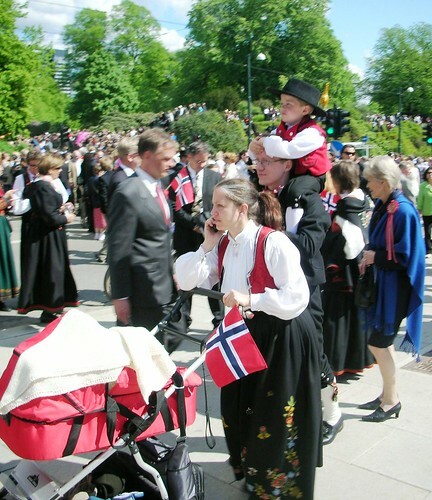 Gratulerer med dagen Renny og Diane! Oh it does look like you have been very busy Renny! 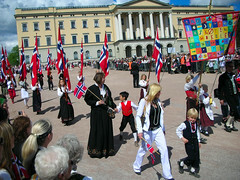 I think the excitement of parades and activities outdoors makes me tick. It brings a smile to my face. I just love it all. Happy National Day to you and hope you have a fantastic one! As I just told Tor, Astrid and I both thought of y’all on the 17th, knowing you were in a great mood of celebration. I love the way you describe the day…not something most of us have experienced. 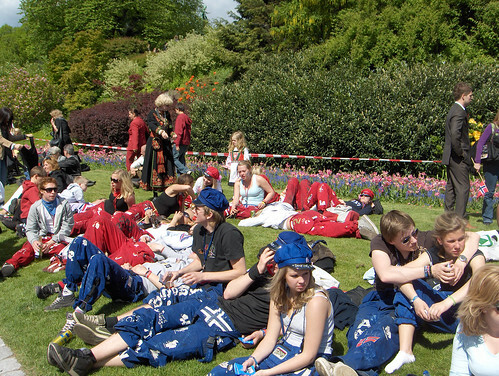 I think the Dutch Queens Day is their closest example of your National Day, from what I can tell. I love it for you. 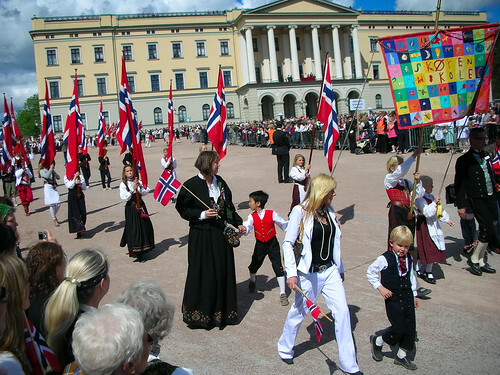 My brother was in Norway just to see this parade and he was speechless after watching such an amazing and colorful parade. Very nice photos indeed. The celebration looked like it was as cheerful as ever before. Beautiful weather too!